I’ve been thinking a lot lately about creativity. Not just artistic creativity, but strategic creativity, and how I can be better in my job (or in marketing in general) to think outside the box and continually provide fresh, original and smart ideas to my projects. Too often I find myself behind the ball. Someone suggests something and I think “I probably should have thought about that,” or things don’t get done in the most reasonable timeline, or someone just has a better idea than me. I work very hard to be a strategic and creative person, but continuous creativity is tough! Especially in the marketing and PR world where you are constantly trying to outthink, outsmart and outdesign your competitor. I’m still learning and reworking my process everyday, so it’s a life-long learning curve. 2. 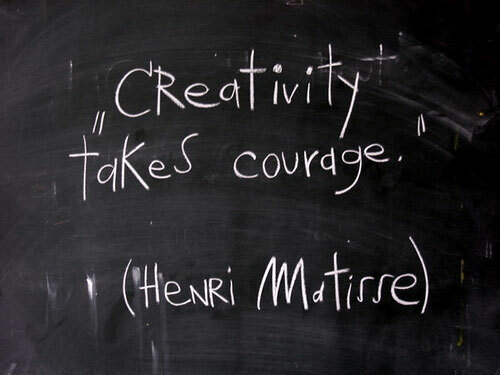 Be brave – this can mean for anything, whether it be speaking up in that big meeting, suggesting a different color for an ad, or deciding to make your own baby food – live courageously! 3. Look for inspiration in the unexpected – I like to read, and sometimes find nuggets of goodness in different places than marketing or PR trade books. 4. Take time – take time to look at what you’re working on and slowly pick it apart. Write down every stream of consciousness that comes to your head, make text graphics, word bubbles, thought clouds, whatever it takes to get it all on paper – and then start to make connections between what once was random, and may now be strategic. 5. Take more time – take a breather between big projects. Save some filing, desk work, or other mundane things between big thought sessions to give your brain a break. 6. Keep an inspiration board – Pinterest could be good for this, but I also like to cut out magazine ads, articles, clips, etc. of things that make me laugh, or ideas I wish I had thought of, or just art that is exciting to the eye. I think it helps give you more to look at than a computer screen. I know everyone has a different process, and we are all trying to be our best everyday. So any other ideas on how to refresh your strategic mind? I would love some more tips on how to keep a fresh eye on marketing strategy. I love to see how other people work through the fatigue and create more and more memorable and beautiful things. Categories: Business, Marketing | Tags: creativity, marketing, strategic communication | Permalink. I love Nutella. I fell in love with it while studying abroad in Greece and I remember it being one of the few foods that reminded me of home. Trust me, after a month of greek salads, hummus and pita you WILL get tired of it, no matter how much you love it. And Nutella with bagel chips became a great comfort food for me. 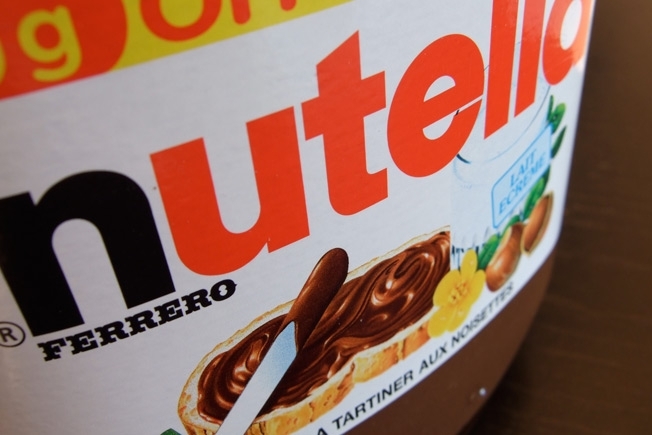 So I completely understand a fan of Nutella creating a day specifically to celebrate it. www.NutellaDay.com does just that. And this can be a PR dream: fans rallying around a product enough to spend EVEN MORE MONEY and write even more good stories, recipes and goodwill to celebrate it. Luckily, the legal drama is over and the company has retracted the letter and now thank the fans for their loyalty. I understand both sides. I understand protecting the brand and the trademark, but I also am surprised a company would go this far for something that “seemingly” is all positive and a PR goldmine. How many companies/services/products dream of this type of fan loyalty? Either way it’s an interesting case for the marketing world this week. Isn’t that what we pay billions of dollars for in advertising each year? Categories: Marketing | Tags: advertising, communication, food, marketing, strategic communication | Permalink. Social media is everywhere. It’s changed so many things, even how we talk with our families. I can’t tell you how many conversations begin with “oh I saw XYZ on Facebook” or “I posted 123,” and it’s amazing how you have to quickly tell important news to friends and family BEFORE it makes its way online. With that in mind, I’ve seen a couple of great posts lately about social media, how Facebook is changing (again!) and how social media can be managed within your organization. This post, written by a great professor here at LSU, gives some good tips on what department should handle social media and why. It’s all about who can tell the best story. This post is a quick primer on the changes coming to the Facebook profiles and newsfeed. Usually when Facebook announces changes, I groan and vow to stop using it, but this time around it sounds like it might be a good move. Take a look and see. Categories: Marketing | Tags: communication, marketing, social media, strategic communication | Permalink. I’ve professed my love for the Oreo brand here before. But they have gone and done it again. 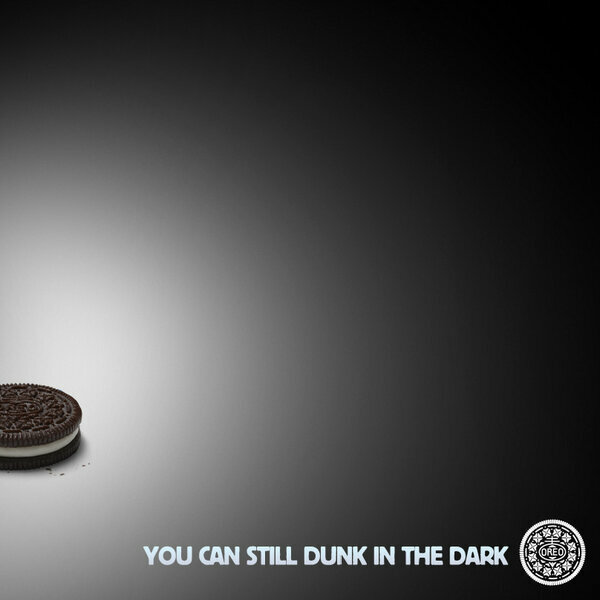 Between all the dollars, time, energy, stress, and work spent by advertisers for the Super Bowl last night, Oreo still found a way to be a bright spot in the darkness (pun intended!). If you watched the game last night, you saw the power outage. Well, Oreo capitalized big time and showed the media community what it means to be a the BOSS of content creation in real time. This picture was tweeted only minutes after the power outage, and by the time the lights came back on, it had been retweeted 12,000 times. I can guarantee you the other advertisers who paid millions for those commercials would be ecstatic if 12,000 people did any type of brand interaction after viewing their commercials. Categories: Marketing | Tags: content, social media | Permalink. I may not have talked about it at length here, but I’m in love with the Starbucks brand. Yes I know they aren’t a real person. Even though I love the coffee, I love their brand story even more. I’ve read all their books, the founder’s biographies, and even got to visit the first store when Jason and I were in Seattle (the day we got engaged! ok, squeal over). 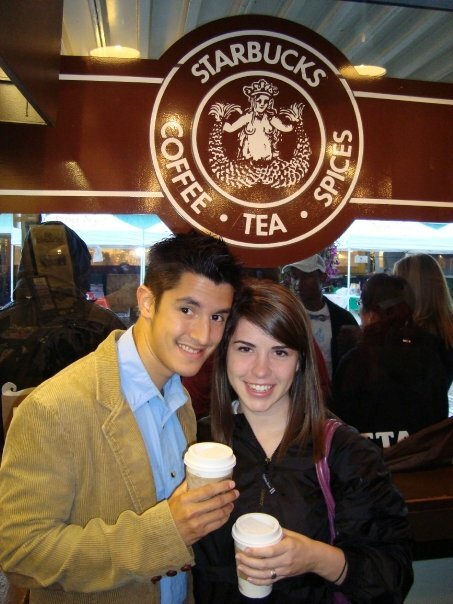 Starbucks is on a short list of my favorite brands, and I don’t adjust that list very often. So I don’t often anoint a brand as a favorite, but the time has come. I know, right? Surprisingly this has nothing to do with the fact that they make White Chocolate Covered Oreos at Christmas time and I might buy out my local grocery every year, and eat them within about a week’s time while decorating my Christmas tree and believing that Santa takes away the calories. Not it at all. It has everything to do with their latest Social Media Campaign: #DailyTwist. Take a look at this article about the campaign. Basically, to celebrate its 100th Birthday, each day Oreo would post a new photo showing the famous cookie in a new and fun ways. Talk about a extendable campaign. Smart, fun and they even talk back to people as fans submit ideas, poke fun or admire the work. 1. Content – each day, Oreo is pushing out something new and fresh to its followers. Not just a static photo of an Oreo bag, or Oreos in different places, it’s taking the icon and making it relevant to that week’s news stories (they’ve had Oreos as NFL replacement refs, Elvis week and Twitter anniversary, among others). This means there are people whose sole job is to think of a new ways to design an Oreo. 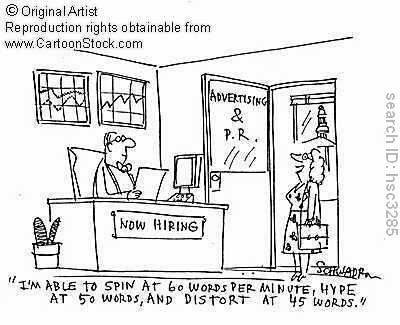 I want that JOB. 2. Fun – Oreo isn’t afraid to have a little fun. 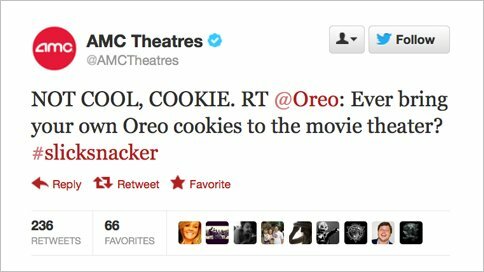 Evidenced by its “Twitter-war” with AMCTheaters, they aren’t afraid to poke fun at themselves, or other brands willing to play along. They know what category they are in and don’t take it too seriously. I’m sure they take success of their brand and business seriously, but if you can’t a little fun along the way, why do it? 3. Engagement – for their final post today (Oct. 2), they crowdsourced the final design, and ultimately gave a virtual high five to all their fans in honor of the campaign (and in honor of the anniversary of the high-five). The final billboard was featured in Times Square. This gives fans a chance to talk back, interact and have as much fun with the brand as the brand is having. 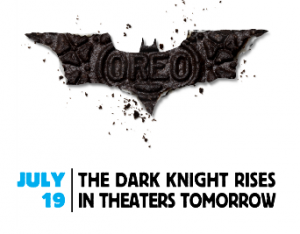 Will this campaign turn into increased sales for Oreo? Not sure yet. But many times this type of campaign is not about profit, but about brand value and moving the brand forward, even for something as old as Oreo. Even today, Facebook fans are begging them not to stop the campaign. That’s incredible. How often do you have customer ASK you to keep advertising? What do you think? Love the new campaign? Made you hungry? Can’t wait for the White Chocolate Oreo cookies? Well, don’t even try the grocery stores within a mile radius of me…because you’ll be out of luck. Categories: Marketing | Tags: advertising, communication, marketing, social media, strategic communication | Permalink. Do you like being unique? Do you like one-of-a-kind things? Do you like vodka? 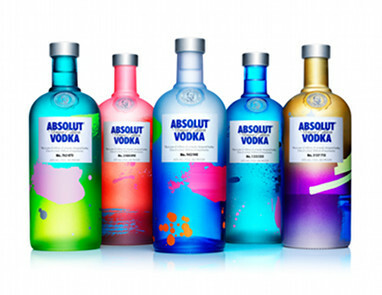 If so, head on over to my guest post on Geaux Creative to learn more about the new campaign coming out of Absolut Vodka. It’s an interesting case study on customization. And pretty bottles. Categories: Marketing | Tags: advertising, marketinga, strategic communication | Permalink. This post is for all you PR/Marketing/Communication people out there who get the quizzical looks when you say “I work in PR.” Or for those times when you feel like you’ll never understand this industry. Or when you feel like everyone else around you knows everything, and you’ll never catch up. You are not alone, my friend. This list of advice is for you. Check out what other professionals are saying has been the greatest advice they received. Really good stuff. Just like any industry, when you’re starting out as a young professional, it can be very overwhelming. But I find it comforting when other professionals admit they don’t have it all figured out. It’s a fuzzy type of industry that does have some concrete standards, but often it falls to the professional to make your individual plan, event or campaign work with constantly changing expectations, metrics and budgets. I fortunately had a great mentor at my first marketing job, and know the importance of having someone to tell you it’s OK to make mistakes, it’s OK to not know it all in your first job, as long as you’re passionate about what you’re doing, and willing to take risks. Believe me, there were several days (and still are) where I went home feeling like a complete bozo because I just couldn’t seem to grasp it. But the good thing is, if you stick with it and keep learning and keep trying, things start to become more clear. And everyone else in the room has been where you are. Categories: Marketing | Tags: advertising, communication, marketing, public relations, young professional | Permalink.